Recently, I decided to conduct an interesting experiment in total immersion in classic Doctor Who, go right back to where it all started, and start watching my Doctor Who DVDs in order, starting with the earliest episodes first. Well, you can’t get any earlier than The Beginning three-disk DVD Box Set, which contains the first three Doctor Who adventures, starring (of course) William Hartnell as the First Doctor, his granddaughter Susan (Carole Ann Ford), and the very first companions, Ian Chesterton (William Russell) and Barbara Wright (Jacqueline Hill). 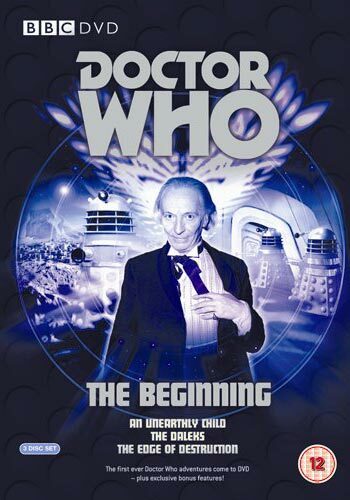 The Beginning is an excellent box set, and the three stories it contains – the first thirteen episodes of the classic series – are, fortunately, complete, with no episodes missing. It’s the fourth Doctor Who adventure, Marco Polo, before we run up against the first of the Missing Episodes. Unfortunately this classic Doctor Who historical adventure is entirely missing from the BBC Archives, although it still exists in audio format. 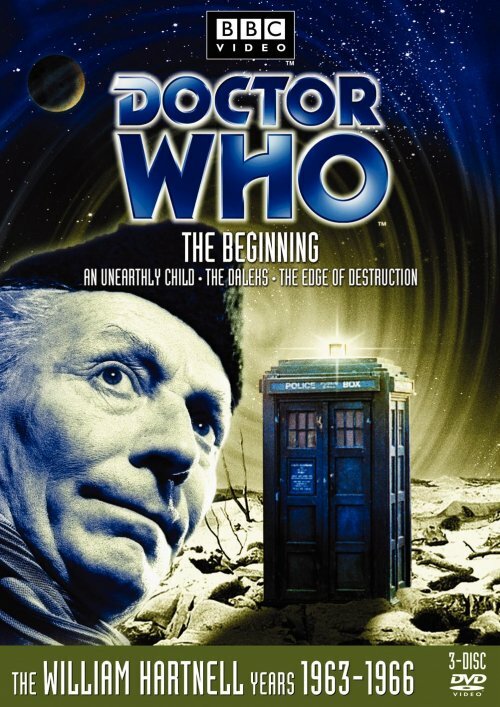 The three stories in the box set – An Unearthly Child, The Daleks and The Edge of Destruction – lay the foundations of everything that came afterwards, from the first appearance of the mysterious Doctor and his granddaughter, to the first appearance of his most iconic adversaries, the Daleks. There are also quite a few fascinating featurettes on the three DVDs, a few of them oriented around the behind-the-scenes developments during those dim and distant days when the series was first created. Fascinating stuff! I will be posting my thoughts here in this blog about each individual story as I watch the DVDs. I would also recommend that anyone who considers themselves a serious Doctor Who fan should do the same as I’m doing, and watch these earliest episodes, in sequence, maybe one a day to get more of the feel of their original appearance on television. Sure, these old stories can be a bit slow and are radically different from modern frenetically-paced Doctor Who, but they’re also the well from which all modern Doctor Who springs. I find these early classics absolutely fascinating, both as television and as historical artifacts, and I strongly believe that they are required viewing for all true Doctor Who fans.